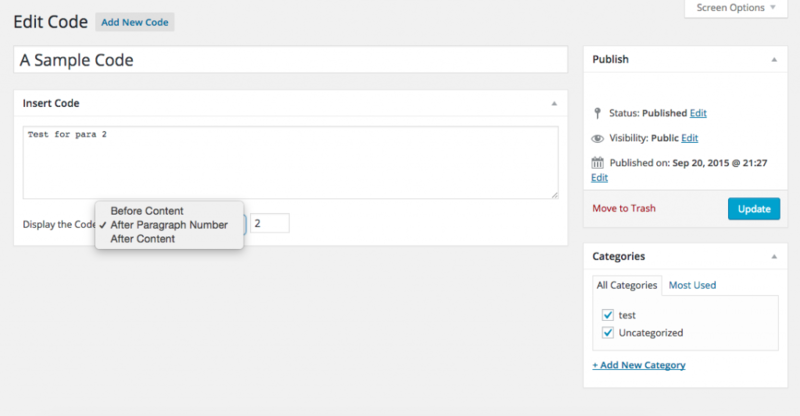 Insert Code allows you to insert code before or after the contents of your post or page. It also allows you to insert code after Nth paragraph () of your post or page contents. This saves you the hard work of manually entering code in your post files, and is very useful for showing ads or other content in pages or posts, including AdSense or other ad code. 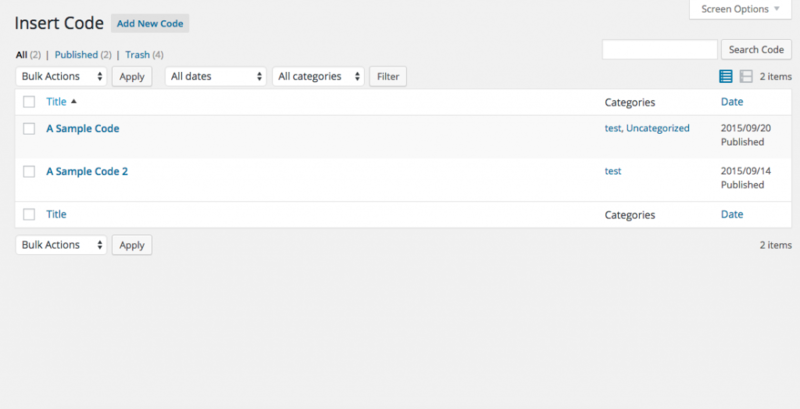 Insert Code provides an option to show custom code on all pages and posts, or on selected categories only. 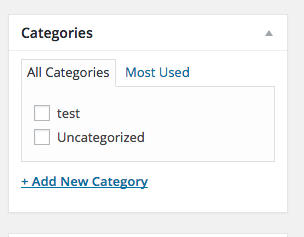 Insert Code automatically adds a “Categories” section to Pages of your WordPress dashboard, to allow you to select the category(ies) on which you want to insert the code that you have saved in the Insert Code plugin. 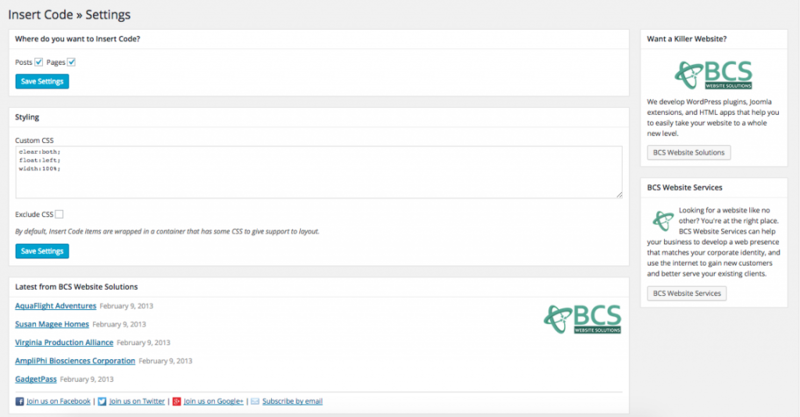 If you want to hide the code from all posts or pages then you can easily uncheck the post type in the Insert Code setting pages. This plugin is available for free at https://wordpress.org/plugins/insert-code/.